Anushri Birla Noida "We arrived in Paro the Saturday of the festival. It was our first destination in Bhutan. Wow - what a wonderful way to start our tour of this fantastic country! Although there were heaps of people, the Bhutanese are so polite and civil, there was not a feeling of overcrowding. The locals wear their best traditional outfits, a beautiful scene. Just lots of colour, happy families having picnics, joyous faces, no vendors or stalls trying to sell wares. The dancers were mesmerising and well worth the short walk to the dance area. As for traffic, our guides had no problem in transporting us to lunch and onto Thimphu. Wholeheartedly recommended!". 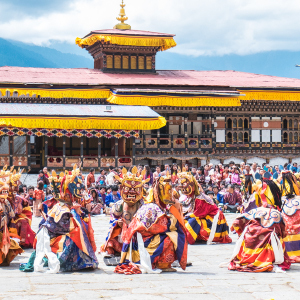 Bhutan holds annual festivals called Tshechu on the 10th day of the month, as per the lunar Tibetan calendar in each district (or dzongkhag), with the month varying as per each dzongkhag. The Thimphu tshechu and the Paro tshechu are among the biggest of the festivals by way of participation and audience. The locals believe that everyone must attend a Tshechu and witness the mask dances at least once to in order to receive blessings and wash away their sins. The Cham dances are the most integral elements of the tshechus. The dancers don colorful costumes and masks, while the dances are largely in the spirit of moral vignettes. Incidents are enacted from the life of Padmasambhava, a 9th century Nyingma teacher and other saints. 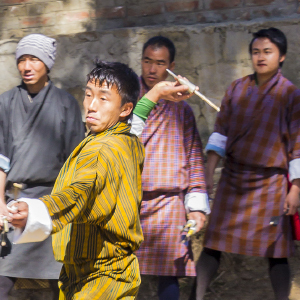 Monks perform these dances in the monasteries, while common village men join them in the remote villages. Most tshechus also feature the unfurling of a Thongdrel - a large appliqué thangka typically depicting a seated Padmasambhava surrounded by holy beings, the mere viewing of which is said to cleanse the viewer of sin. The Thongdrel is raised before dawn and rolled down by morning. The celebrations are marked by a holiday spirit. Street markets mushroom and sell useful as well as bizarre wares, while people come out and socialize in the streets and temples. 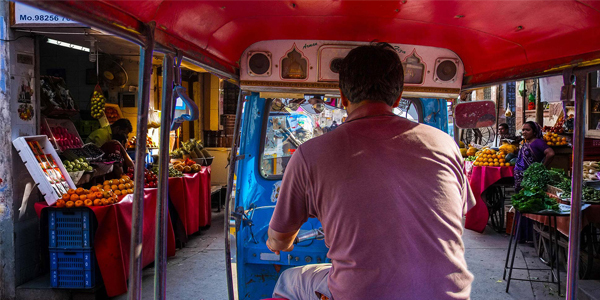 Hawkers dish out tasty street food and there are also lots of game stalls. The streets resemble fairgrounds and pedestrian pathways are put up. 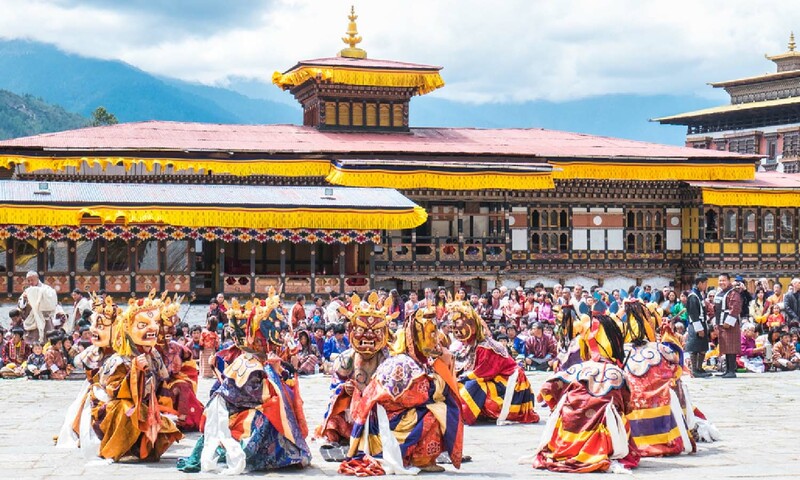 Joining these festivities allows you to connect with the culture and people of Bhutan in a fun-filled way and witness some of country’s most vibrant moments. 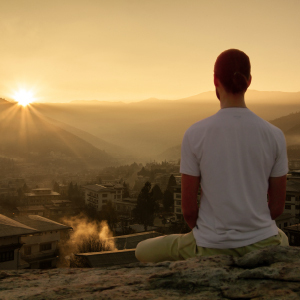 Get in touch with your Luxe expert to select the festival of your choice out of the bewildering array of festivals celebrated throughout the year in Bhutan.